PETER KNIGHT & JOHN SPIERS are guests of The Wurzel Bush Folk Club on Tuesday 23rd April. This week all of our residents are expected Crybb Folk, Craig Sunderland & Eddie Player. Floor singers are very welcome. For over 40 years Peter Knight was the fiddle player for the legendary band Steeleye Span. 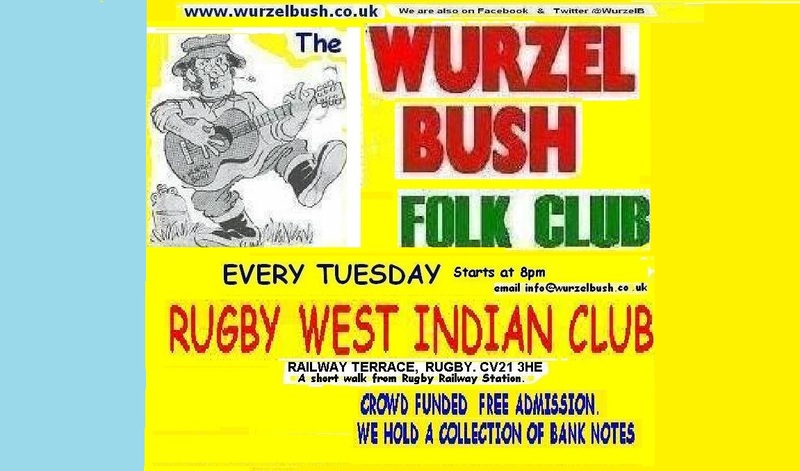 The Wurzel Bush is Crowd Funded which means the audience are asked to place a bank note in the collection. It is left entirely up to members of the audience as to what value of bank note they give to the collection in order to show their appreciation for the visiting guest artists.